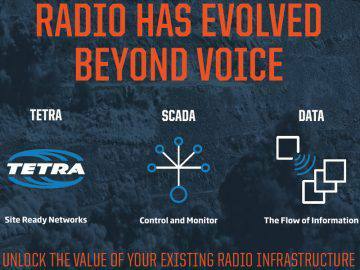 Radlink supplies Beyond Voice Radio (BVR) products: new technology to increase productivity and sustainability, protecting your people and your assets. BVR is a product range that utilizes the advanced digital and IT features of modern digital radio systems. 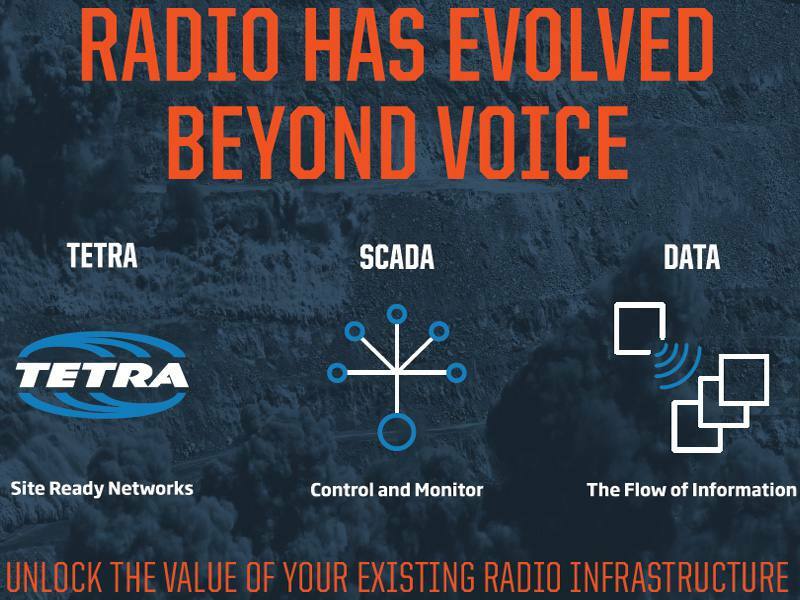 The BVR team are constantly producing industry solutions based on this technology: radio smart apps that can cut down on paperwork and time, smart controllers that work in secure digital radio frequencies and RevelocPLUS, a program that links interactive geo location data with live data base feed. BVR solutions turn your digital handset or vehicle radio into a mobile data terminal. 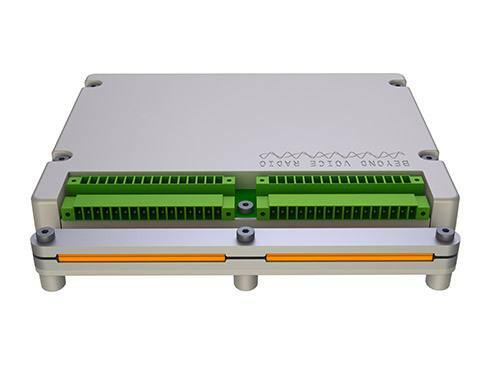 This unique ruggedized industrial controller has been specifically designed to operate in harsh Australian conditions. It supports traditional serial and Ethernet communications and as well as enabling the transmission of control and monitoring data across your critical TETRA or DMR radio communications networks. The BVR5000 will seamlessly communicate and interact with a diverse set of equipment by way of its large variety of interfaces and ports. 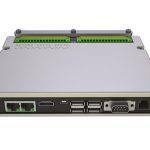 It connects to serial and Ethernet based equipment as well as traditional ‘hard wired’ inputs and outputs. This eliminates the need to have separate monitoring interfaces for each field device. The potential uses are further increased by being able to use USB interface ports and removable storage devices which opens up possibilities of interfacing to touchscreens, and smart sensors. The power of the BVR5000 lies in its ability to communicate between different ports and protocols intelligently, automatically and effortlessly. The firmware that governs the BVR5000 is not only flexible in the protocols it uses, but it can also convert between different protocols. For example, the SCADA Master could send a DNP3 request, that would then be received by the field device as a Modbus RTU request. 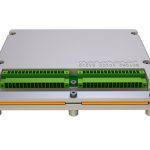 The BVR5000 also supports the Radlink Short Data Protocol (RSDP). 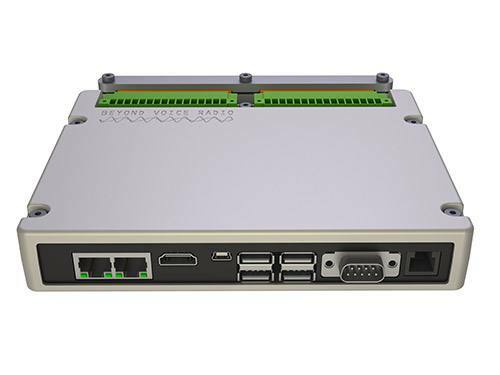 This is specifically designed to transport SCADA and telemetry data over digital voice radio and other narrow bandwidth communications networks in the most efficient manner possible. The design of the BVR5000 results in a highly versatile device specifically designed for communication across multiple technologies and equipped with many different tools and many different ways to use them. The BVR5000 is configured using an intuitive graphical user interface and is equipped with a powerful scripting language to allow for further customisation. An internal web server offers the capabilities of providing a custom user interface. Having won 2 international awards including the 2015 Best TETRA Innovation Award, and 2 awards at WAITTA: the Industrial Award and the Resources Award, the judges said this is an ‘excellent product that has been missing from the TETRA vendor community for opening up SCADA opportunities’.